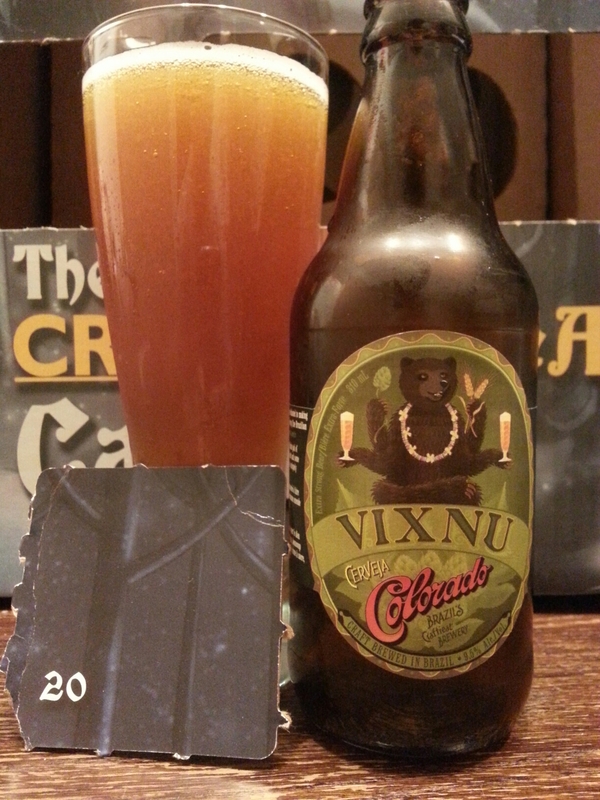 The Craft BeerAdvent 2014 Calendar Day #20 – Colorado Vixnu IIPA (Brazil) | Justintoxicated. Visual: Pours translucent bring amber orange with lots of large bits of suspended sediment, barely any head, thin ringed retention, singular streams scattered about. Finish: citrus hints, malty alcoholic finish. Summary: Yikes there’s a whole lotta detectable alcohol in this one. 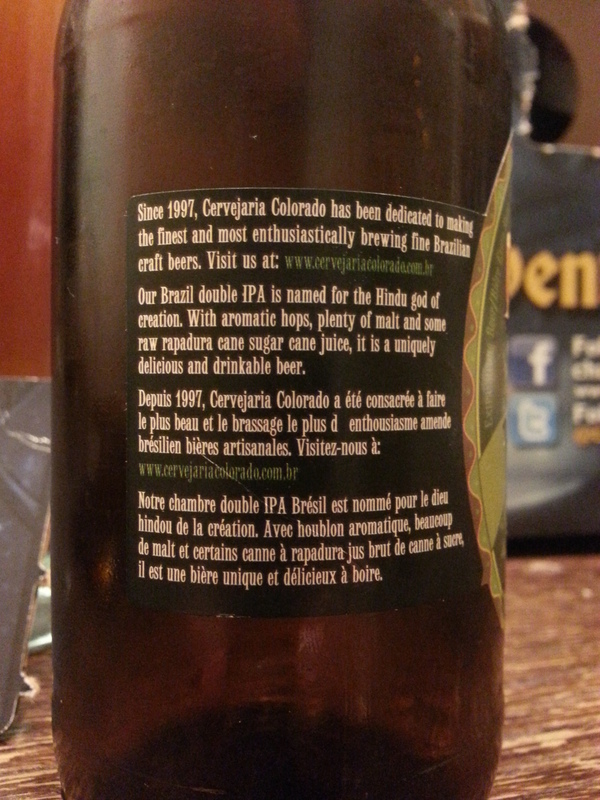 Drinkable, but somewhat crude and unrefined.